Orlando REALTORS® don’t just help people realize their dreams of homeownership, they also help build communities. Now, 10 of those community-building REALTORS® have been honored for their efforts by the fourth annual Orlando Regional REALTOR® Association Good Neighbor Awards. Each of the nonprofit organizations helped by our GNA recipients’ volunteer efforts will receive a $1,000 donation from ORRA to support their missions. The ORRA Good Neighbor Awards is a project of the ORRA Community Relations Committee, which is responsible for many of the association’s community service initiatives. It also organizes volunteerism activities for all members’ participation and considers requests for ORRA support by local nonprofit organizations. Amy was also recognized in the Orlando Sentinel for her efforts as an ORRA Good Neighbor Award Winner and for choosing Autism Speaks to receive her $1,000 donation. August 17th Update: RE/MAX 200 Realty’s 5th annual Killarney elementary school supply drive is a success! Thank you RE/MAX family for always pitching in to help. And a special thanks to FBC mortgage for donating 50 backpacks! 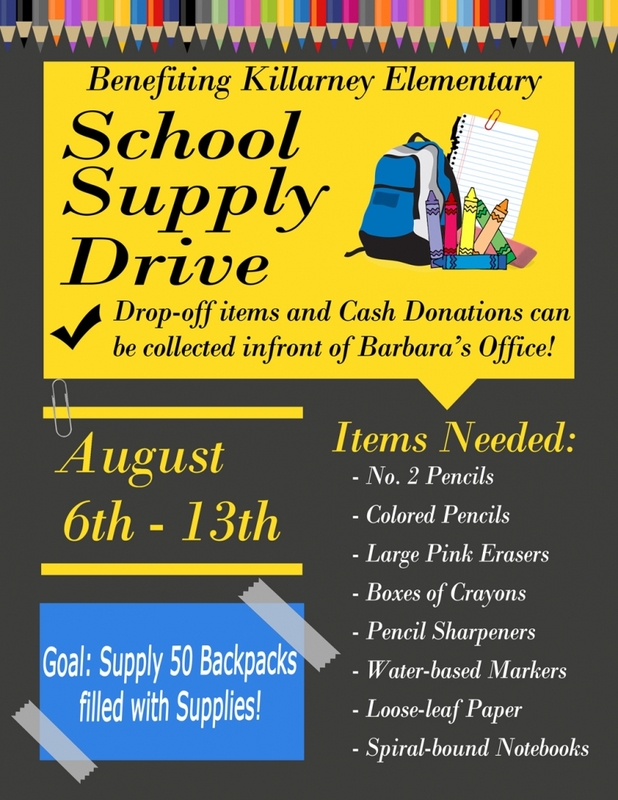 It’s back-to-school time and our 5th Annual Killarney Elementary School Supply Drive! The students rely heavily on help from the community, with 90% living at or below the poverty line. The Killarney food pantry provides roughly 100 students bags of non-perishable food for the weekend. Many live in hotels, some in cars. Stores are offering huge back-to-school savings right now. Please consider picking up a few items on your next trip to the grocery store. Donations collected at the RE/MAX 200 Realty office and Leading Edge Title Winter Park. Cash donations are fantastic, too. Every bit helps! Orlando, FL 1/18/2018 – Abby Nelson’s Great Homes Group with REMAX 200 Realty has qualified for the 2017 REMAX Diamond Award, which honors successful agents who have earned at least $1 million in commissions in the past year. In 2017, the Diamond Award was presented to less than one percent of all active REMAX agents. This is the first year Great Homes Group has received this REMAX Diamond Award high honor. Abby is an established leader in the greater Orlando real estate industry and has been serving her community as a REMAX real estate agent for 14 years. 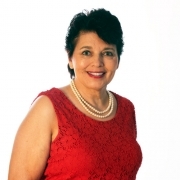 She specializes in residential real estate and holds the 5-Star Professional, GRI, e-Pro and CDPE designations. Abby is also a member of the National Association of Realtors® and Florida Association of Realtors®. In addition, Abby and her team actively support Children’s Miracle Network along with several of their colleagues at REMAX 200. Winter Park, FL January 12, 2018 – RE/MAX 200 Realty announced today that REALTOR® Yvonne Clayton has joined the growing real estate firm on Orlando Avenue in Winter Park. Yvonne has been in real estate since 1983 in one form or another; from property management, marketing, sales and training to being part of a family of builders and developers. She is a native of Orlando and has watched her hometown change dramatically. “Now having raised my 4 children and spending countless hours volunteering at church, school and sporting activities, as well as overcoming the challenge of breast cancer over the last two years, I feel ready to launch my career (and hopefully help others conquer breast cancer),” Yvonne said. For more information about RE/MAX 200 Realty or Yvonne Clayton, please visit MetroOrlandoProperties.com or contact Rob Breese, Sales Manager at (321) 436-8813. Named America’s Best Juried Fine Art Fair (Art Fair Calendar, 2013 & 2014), The Winter Park Sidewalk Art Festival is one of the nation’s oldest, largest and most prestigious outdoor art festivals. It is also ranked the #1 Best Fine Art and Design Show in the southeast and #5 in the Nation by Sunshine Artist Magazine, 2014. The Festival debuted in March 1960 as a community project to bring local artists and art lovers together. The Festival is produced by an all-volunteer board and draws more than 350,000 visitors each year. This year, more than 1,100 artists from around the world applied for entry. An independent panel of three judges selected the 225 artists exhibiting their works. The Festival is also recognized as “Central Florida’s Best Festival,” Orlando Magazine, 2013 & 2014; and “Best Winter Park Event/Festival,” The Winter Park Chamber of Commerce and Winter Park / Maitland Observer, 2013 & 2014.